The AD4D Axient Digital Dual Receiver sets a new standard in transparent digital audio and maximum spectral efficiency. Groundbreaking performance features include wide tuning, low latency, and High Density (HD) mode, ensuring solid performance in the most challenging RF environments. 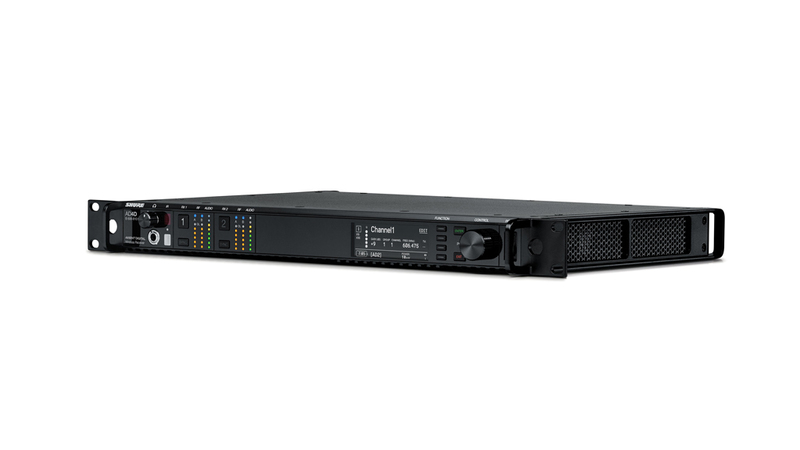 Networked control and signal routing options bring a new level of management and flexibility to your entire workflow. Compatible with all Axient Digital transmitters.